Hotel Renaissance is located in the historical center of Florence, in the Roman castrum area, on the first floor of the medieval Palazzo Sacchetti, between Palazzo Vecchio and the Bargello, just a 2-minute walk from the Cathedral and 15 minutes from the Santa Maria Novella central Station. The building, of Romanesque origin, was used to welcome guests even in the past. Today, after a fine restoration and renovation, the hotel includes nine very comfortable and unique rooms: Standard, Superior, Deluxe and Exclusive Wellness.In each of them we conserved the original architectural details of the Middle Ages or the Florentine Renaissance, such as sandstone portals and finely restored frescoes. Especially the rooms located in the ancient medieval tower are a perfect union between history and modern amenities. All rooms are equipped with private wellness areas: whirlpool showers and regenerating waterfalls. The "Exclusive Spa" rooms are also equipped with a private hamam. From the reception you can admire the tower of the Bargello, the first Florentine town hall, and from the rooms you can see the charming views of Via della Condotta or Via dei Magazzini and a glimpse of Palazzo Vecchio. All the rooms are non-smoking, however there is a small terrace that faces the internal courtyard, where it is possible to smoke. We offer breakfast room service or buffet breakfast in the fireplace room from 7.30 am to 10 am To find us sharpen the wits! Our front door is between the craftman shops of via Condotta and after a small flight of stairs you can take the elevator up to the hotel. Ask for help at the reception to bring up your luggage. Hotel Renaissance offers an orientation walk to introduce the city to our guests led by licensed tour guides. Please ask for more details. It is also possible to organize historical, culinary and wine tours. 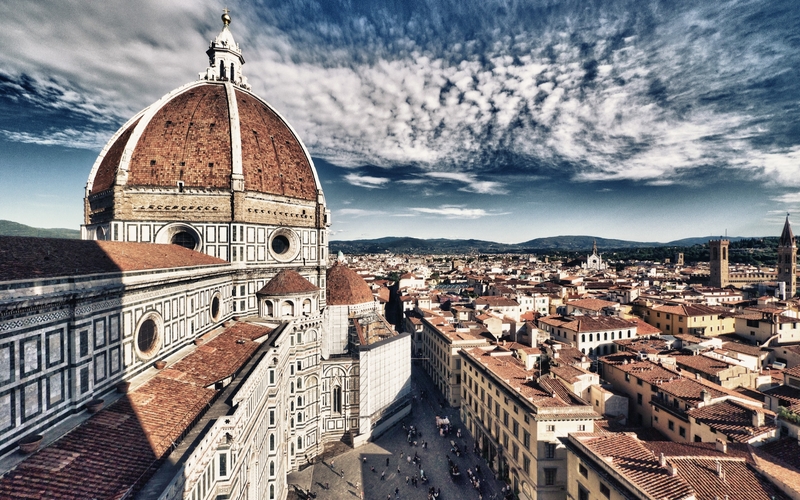 Once you leave Florence after a stay at our hotel, you will not only bring home with you a small piece of history, but also a fabulous memory that will remain in your heart . Hotel Renaissance is located in the historical center of Florence, in the Roman castrum area, on the first floor of the medieval Palazzo Sacchetti, between Palazzo Vecchio and the Bargello, just a 2- minute walk from the Cathedral and 15 minutes from the Santa Maria Novella central Station.